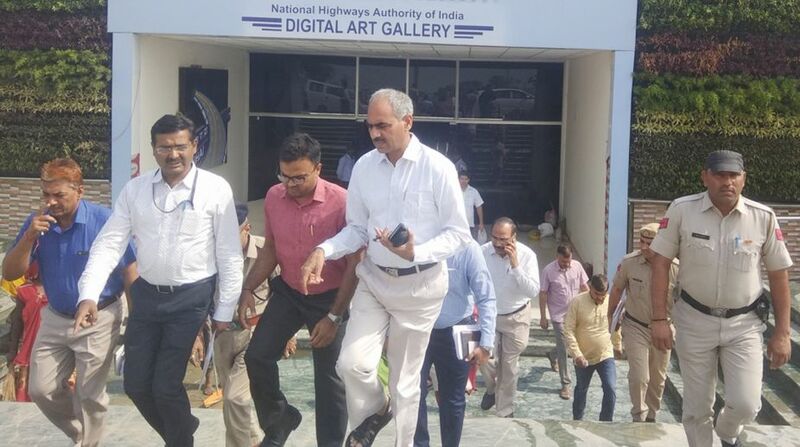 Deputy Commissioner, Sonipat, Mr. Vinay Singh taking stock of the arrangements of Digital Art Gallery of National Highways Authority of India, at toll plaza in village Jakholi, district Sonipat on May 23, 2018. The Prime Minister, Mr. Narendra Modi would inaugurate the Digital Art Gallery on May 27, 2018. In what could relieve Delhi from traffic congestion, the Kundli-Ghaziabad-Palwal (KGP) Expressway (Eastern Peripheral Expressway) will be put to use from 27 May. 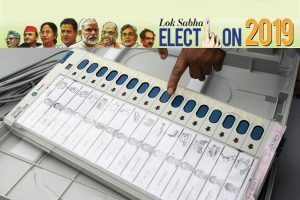 The Prime Minister (PM), Narendra Modi will inaugurate the KGP Expressway on 27 May at a ceremony to be held at the District Sports stadium of district Baghpat of Uttar Pradesh, an official spokesman said. He said before the inauguration of KGP Expressway, the PM would inaugurate the Digital Art Gallery of National Highway Authority of India (NHAI) at the toll plaza in Jakhauli village in district Sonipat. Regarding preparations for the arrival of the PM, he said that helipads have been set up on KGP Expressway only. The construction of KGP expressway would relieve Delhi from traffic congestion. This project had been completed in a record time of two years at the cost of Rs 5,763 Crore. It is the country’s first Axis Control Highway and the vehicles would have to pay toll equivalent to their travel. He said that at every 500 meters, arrangement of Rain Water Harvesting has been done on each side of the expressway. Solar energy has been used, the spokesman said. A replica of 36 monuments like India Gate, Gateway of India, Ashoka Stambha, showcasing the art and culture of the country has been established. Digital Art Gallery would present the glorious construction story of the KGB Expressway. There are 18 displays in the gallery. In this gallery, all information of every moment from the beginning the construction work and completion of the expressway through digital medium are present. The gallery would also have a group picture of complete team involved in the construction of the Expressway with the PM Modi, the spokesman added.